1) Pay on Time: Everyone at your company expects and rightly deserves to be paid in a timely manner. So why would you make your reps wait for pay? Do payroll personnel wait for their pay? Does the CEO? Obviously, there is paperwork, expenses, etc. to go through, but that should be a well thought-out process, which means it’s also easy to understand, follow and implement. If your company has reps (and has been in business for over a year), there is absolutely no excuse for not paying them (or any employee) on time. How to stop it? Talk to your reps and ask them if they’re having problems being paid and, if so, fix the problem. Again, there is no excuse. 2) Stop Messing with Territories: While adjustments to territories do have to be made from time to time, it should be kept to a minimum. Obviously, if there is a rep who is not working up to the level required, then adjustments make sense. But to alter territories to simply “change things up” or because you want to punish or manage out a particular rep can cause chaos and anger throughout your whole team. Good reps spend a lot of time and energy developing relationships (which is what sales are based on) and to interfere without a valid reason can negatively affect not only the bottom line, but also the overall productivity, trust and morale of your team. How to stop it? With the exception of a low performing sales rep – let your reps alone to build and grow their relationships. 3) You’re On Your Own: If support for the customer fails after the sale, who usually gets blamed? The sales rep! Maybe not by those at the company, but by the customer. A zillion years ago, I was a waiter. Sometimes the kitchen would get backed up and, as the waiter, I had to explain to my angry customers why their food was so late. Sometimes I would get an understanding customer. Usually what happened was not only did the customer bad mouth the restaurant to everyone they knew (and probably never went back to the restaurant), but worse, badmouthed me! And – I would get a very small tip. As many reps have told me, “Why do they drive teamwork down our throats, yet put up with the lack of teamwork from customer service and everyone else – and do little about it?” How to stop it? Talk to your reps and find the “weak links” in the support chain and fix it. Once again, no excuses. These are just three ways any company can follow to stop angering their reps – all of which will not only make your reps more productive and profitable, but also happier. However, if after reading this, your response is “Well, yes, but…” then get some bandages ready, because your foot is going to need them. Funny motivational speaker Bob Garner provides customized and highly entertaining presentations at meetings and events that feature usable information on increasing performance and productivity, by teaching employees how to think like entrepreneurs. 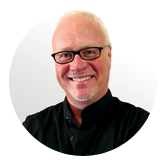 Check out Bob and his blog by clicking here on entrepreneur expert Bob Garner.